Sport informatics involves collecting data, things known or assumed to be fact, then arranging it in ways that convey or represent something about sporting performance or participation. Interpreting this information, using sport analytics, involves identifying patterns that tells us something about the sport and extends our knowledge of it. What does sport information and analysis look like to the average athlete? According to Sport England, 15.5 million of us participate in sport at least once a week. These people will participate in sport at various levels and for various reasons and will therefore need different information in order to support their personal sporting aims. Some of those will be casual participants or those who are just getting started. Others will be talented and dedicated performers who are capable of representing their country, like BBC presenter Lousie Minchin who has qualified in her age group for the World Triathlon Championships after only 2 years in the sport. The group I am interested in surveying lie somewhere in the middle. Athletes who have developed a training habit and compete in events, or are thinking about it, but don’t necessarily expect to win. For them sport is challenging and fulfilling and a leisure pursuit they enjoy and devote time to. 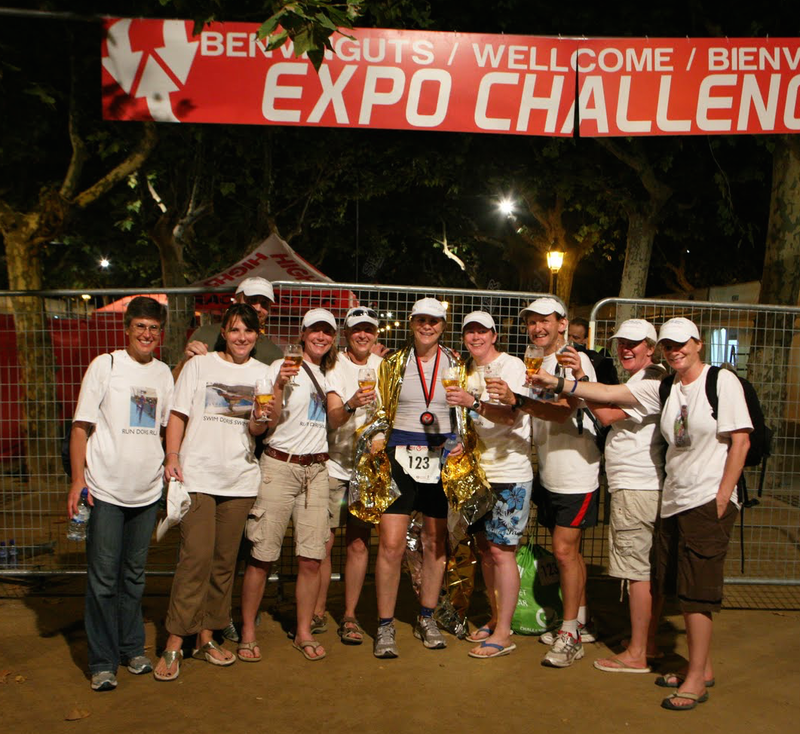 Here’s a group of typical amateur athletes celebrating the end of a long day competing/supporting at an triathlon event. These athletes probably aren’t sports scientists and probably don’t have access to an extensive network of sport science, medicine and conditioning experts. Increasingly though many of us have access to some of this knowledge via the internet and carry miniature sport science laboratories around with us in our phones or attached to our wrist. My research will hopefully find out something about how this cohort of athletes use information to support their training and competitive tasks. this post provides some context by writing about some of the information habits of myself and my friends that motivated this study. For most athletes their sporting participation exists in phases. An annual training calendar will be built around target goals or races and involve build-up, peak and tapering phases interspersed with periods of rest, recovery and maintenance. Within this macro cycle is the mini cycle of what activities you do each week. An athlete’s information needs may change during different phases of this training cycle or in response to certain events, such as injury or plateau. 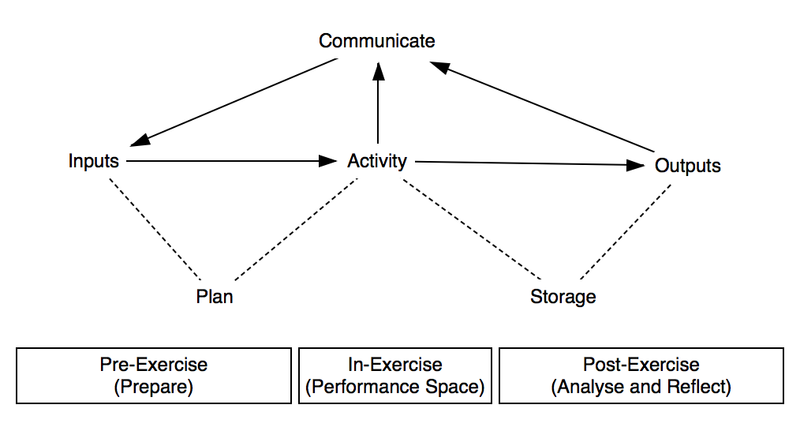 In my study of information I’m placing the activity itself at the centre creating a nano cycle of pre-activity, during activity and post-activity. I call this the activity information cycle. Pre-activity covers both general information gathering relating to your sport and specific task oriented activity. It is the bubble of information and knowledge you as an athlete exist in and helps prepare you for training or competitive activity. 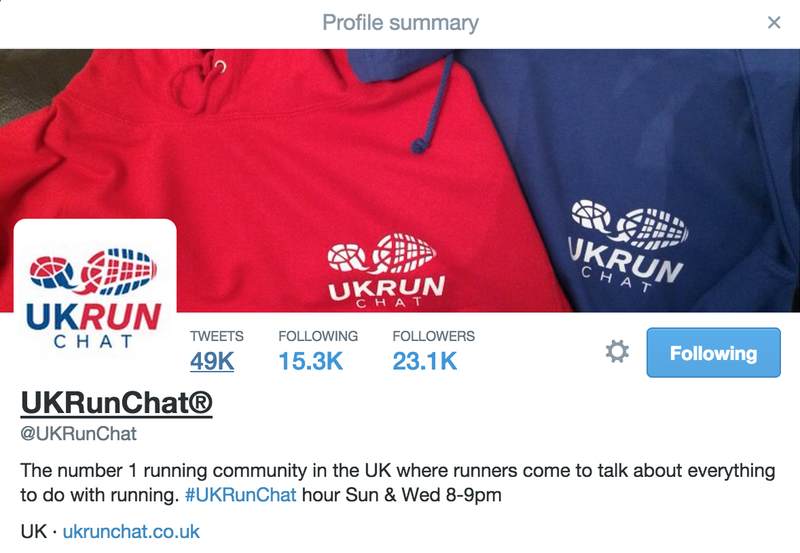 UKRunChat (and UKCycleChat and UKTriChat) use Twitter and the Web to create an online community for information sharing and socialising. The nature of this kind of information is vast and diverse and will depend very much on the athlete’s needs and motivation. I’m hoping you are going to tell me a lot more about what this kind of information looks like and how easy you find it to interpret and incorporate into your activities. In our group, examples include other people, such as friends or club mates, social media, such as Facebook and Twitter, magazines and an array of books. 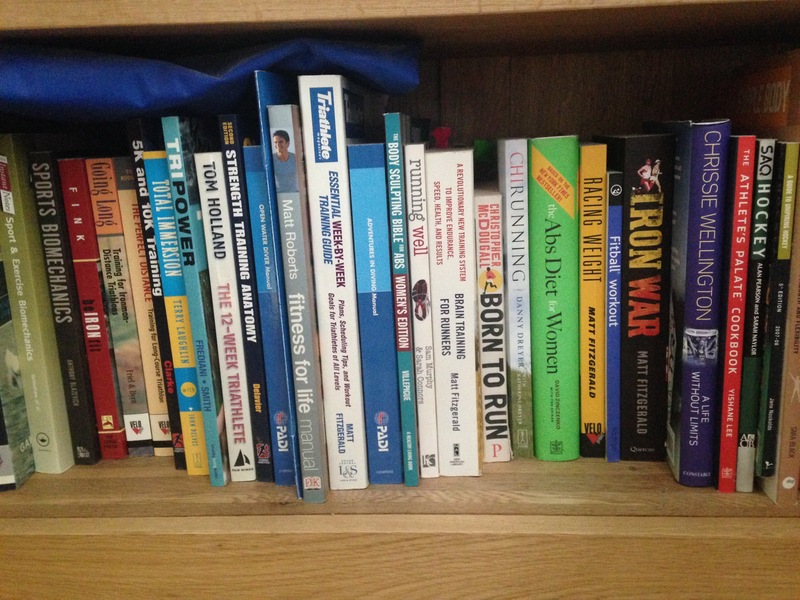 A selection of the sport related books on my shelf. Training plans are a way of arranging data to convey something about sporting performance. In this case the activities we need to undertake to meet a certain goal, usually a race, at a certain time. The athletes in my pilot group all get the information needed for our training plans in very different ways and use very different tools to put together training plans and refer to them. I’ve used many methods to put together a training plan over the years including following plans from books, magazines or created by algorithms based on my previous times and target times. 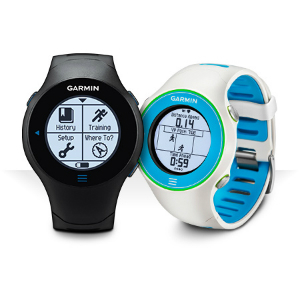 I’ve never had a running coach, but as I’m currently returning from injury I wanted a bit more structured guidance for my current plan and am currently using a half marathon plan created by the coaches at Full Potential that is provided free as part of the Garmin Connect online platform. I can view it through Garmin Connect, in my calendar via an iCal subscription and as a printed copy. During activity covers the period you are physically active, whether training or competing. Most athletes will receive some kind of information feedback during their activity from some kind of device even if it simply the activity duration and the humble stopwatch. Even rate of perceived exertion (RPE) is a form of information feedback that we estimate from the data our brains our receiving from our body’s sensors. iSmoothRun the phone application I use for activity tracking. Again, this will vary depending on the athlete’s needs and motivations and may differ when training or when competing (or doing a time trial or other benchmark training session). I only get 10-15 time cues from a phone application stuck in my back pocket when I am exercising and I don’t even wear watch because I find it distracting; my partner won’t even go for a leisurely jog without being strapped into an array of devices capturing an array of metrics and buzzing angrily whenever out of target heart rate zone. Garmin Forerunner 610 an example of a GPS watch. Hopefully my survey will provide further examples of how athletes like to use in-activity feedback and what devices are used..
Post-activity is the time for storing, arranging and interpreting all the data collected from the activity. This can be a lot of data! This one race captured 1644 tracking points of data along with several pieces of metadata such as the name of the race, the shoes I was wearing, how I was feeling and the date. 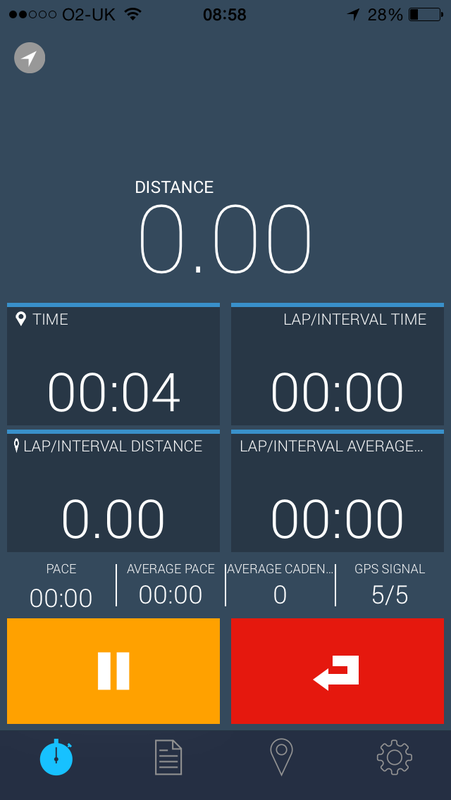 The application also performs some initial calculations on the raw data to provide be with some derived information such as the distance I covered, my total steps, my average stride length, my average cadence and my average pace and speed. The data itself is really just a series of tracked data points measuring things like the time and my longitude and latitude. How my race looks as raw data. This is really hard for the average athlete to make use of but fortunately we don;y have to. As well as providing the phone application interface iSmoothRun allows me to export this data as a GPX file so I can store it an analyse it using other tools. How we make sense of this data will again vary depending on the data that is collected and the tools each athlete uses to store and analyse their data. These can range from paper training logs to the growing range of online platforms for organising and sharing training. These services enable us to visualise our data in different ways and provide additional calculated data, graphs and reports to help us understand our data and use it to monitor our progress. I use several tools to visualise my training data and help me understand it. I save a copy to a desktop application called Rubitrack and export it to Strava, Garmin Connect and Runkeeper. You can see that the same race looks very different across each of these services. Different tools provide different views of that raw data and different guidance on interpreting it and it’s a personal choice which we use. They all do a similar think and often it’s the user interface and the social community they offer or the ease of synchronising data that can sway use rather than different features. I can’t decide which is my favourite which is why I export my data to several services and use them for slightly different things. How we analyse our data and what we do with it depends on our goals, motivations and what questions we want to ask of our training data. I will confess I think my training data looks great visualised in these ways and I use the services to keep a training diary but I don’t really do a great deal of analysis of my data. I check how my average pace compares with how I felt and that’s about it. I also quite enjoy how Strava compares the runs I do on the same route and tells me if I’m improving or, as seems to be the case at the moment, slowing down! Strava automatically detects activities over the same route and compares them. I am a lazy analyst though. I take what the applications easily give me and I use it to calibrate my RPE and gut feel. I check my weekly totals to make sure I’m not risking injury. 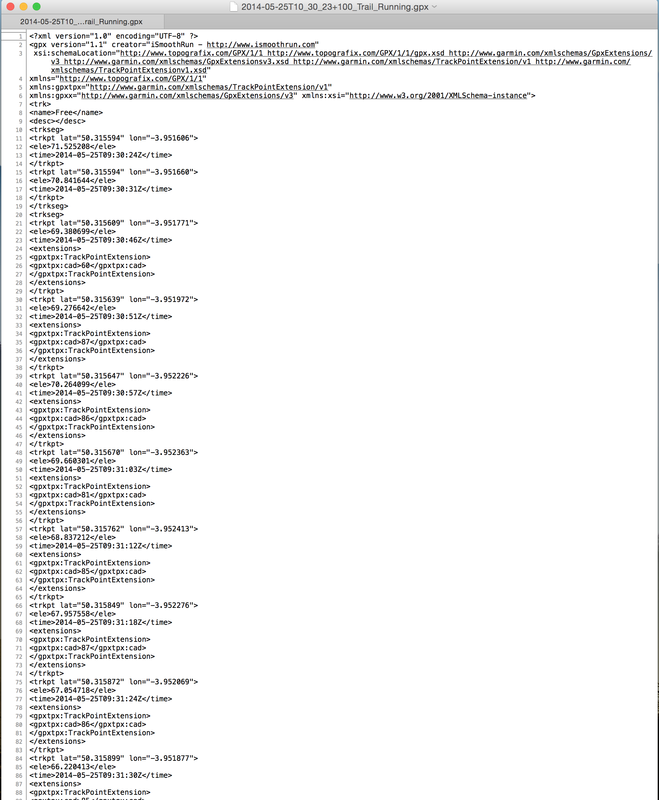 I don’t spend a great deal of time digging into my data. My partner spends much more time (hours, days, weeks, eternities) pouring over training data using even more powerful tools. She also has a coach so uses Training Peaks to get her training plan and report data back to her coach so he can analyse it. Hopefully that covers some of the things that amateur athletes will understand as sport informatics and analytics and some examples from my experience that already suggest there is a great deal of variety in how athletes use information and why we find, collect, store, share and analyse information in relation to our sports..
Now I need your help to provide data collected in a more rigorous way to explore this topic further so I can start to map out the ways athletes are using these types of information. How do you find the information you need for your sport? What are your trusted sources? Are you an information omnivore or to you just find what you need to get by? Are you are technology fan who has all the latest gadgets or are you unsure about how these devices could help you? What do you do with all the information you collect and how does it help you achieve your sporting goals? Also what information gaps do you have? Do you find it hard to find or access some information or are you not quite sure how to make best use of some of the information or data you have? to answer a few questions on your information use. It will just take 10-15 minutes and will really help my research. Sport Informatics by Alison Pope is licensed under a Creative Commons Attribution-ShareAlike 4.0 International License.